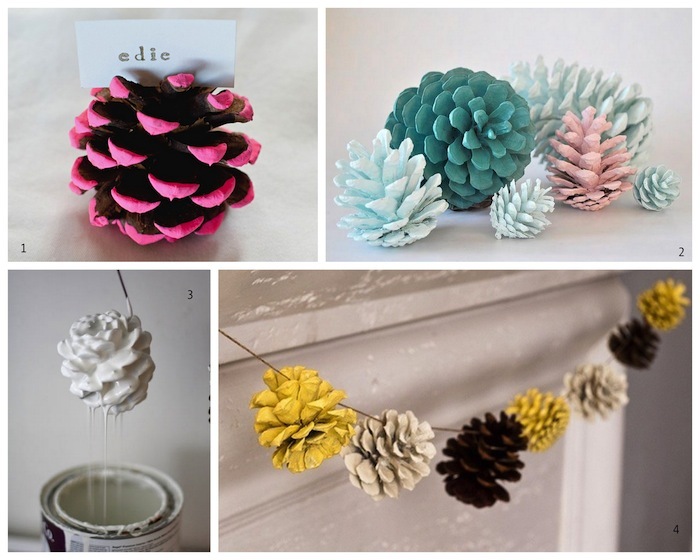 A Bolt of Blue | Cool idea – Pine cone decor! 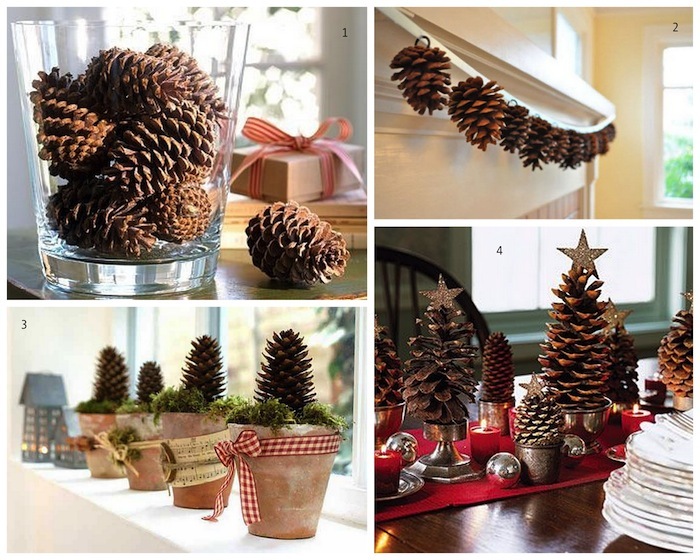 Cool idea – Pine cone decor! Did you know you can either spell pine cone with or without (pinecone) the space? Everyday is a learning day! I am lucky enough to live in a very strange part of New York City that has TREES, and pine trees to be exact. On my way to and from my daughter’s school I pass tons of pinecones on the ground. I’m going to start hoarding them now that I see there are SO many cool things to do with them. I LOVE the idea of painting them…however I may just go the easy route and use spray paint. I have always loved pine cones…and I LOVE that they’re free, you can recycle them into the earth (unless you’ve painted or embellished them) when you’re done with them and they help bring a little bit of the outdoors…indoors! 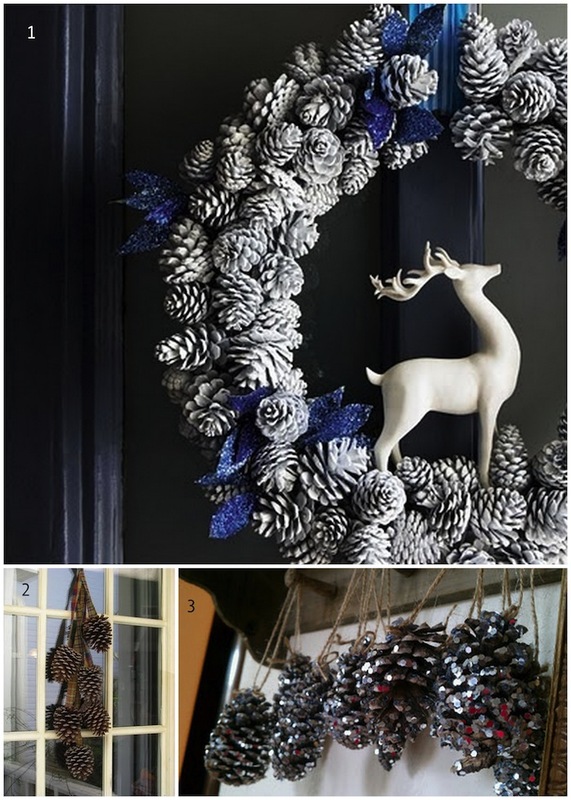 Check out all the cool holiday decorating ideas below!